Swara played the uber-rich Delhiite, Sakshi Soni, in Veere Di Wedding. Her stint, especially in the last scene, earned all our claps and whistles! Actors can be largely bifurcated into – 1) Those with a delightfully luxurious taste in fashion and recognise themselves as stylistas 2) Those who have stood the test of time solely based on their acting chops and the recognition that tagged along. Actress Swara Bhasker can safely be placed in the second one. Her first hit as the solo lead Nil Battey Sannata followed by the carriage of Avinash Das’ Anaarkali of Aarah to the steps of spring and the latest addition to her boast-worthy filmography, Veere Di Wedding, are all a testimony of the same – Swara is simply stellar. In 2016, Swara’s brief career received the much-needed notch under the wings of Ashwiny Iyer Tiwari. Swara essayed the role of a housemaid, Chanda, in Nil Battey Sannata. That not only slid the critics on her side but also a first heroine-hit on her resume. The following year saw Swara as the red-hot singer of Bhojpuri sings Anaarkali who performed in Aarah and nearby parts of Bihar. Not only was her outing a splendid milestone on her progressing career graph, but she made it gritty, unforgettable and commendable all at the same time. Sure, unconventional roles have been the mainstay of Swara’s choices, it wasn’t until we saw her as Rhea Kapoor’s uber-rich Sakshi Soni in Veere Di Wedding that she swept all our praise box! Warning: Those who haven’t watched Veere Di Wedding yet, spoilers ahead. Watch out! The multi-dimensional Swara shines bright like a diamond in this gloss n’ glam femme fatale squad. Every nuance of Sakshi in the film screams volumes of Swara’s potential as an artist. Sakshi is a rich brat who uses her father’s credit card to spoil her BFFs for a choice of a business class flight. She puts her sensitive side on the front seat, especially when West-Delhi aunties mock her parents for her in-process divorce. Sakshi doesn’t tolerate nonsense, because she locks her husband outside the room and walks away with headphones on. She also is sassy for she never lets anyone have the last word even if its ‘Sannu ki?’ She is vulnerable because she doesn’t want her family and friends to be ashamed of the reason for her split from the husband who she married in a hurry and against the wishes of those around. Moreover, can we think of any other starlet to have enacted the whole masturbation scene with so much conviction? I mean, if you remember, Sakshi asks her husband, who btw has just walked in on her in the act, to wait till she…finishes. It is a different thing to say bold is synonymous with Swara and a totally different to see it for yourself on the silver screen! Take a bow, lady. Which is your favourite scene or dialogue from Veere Di Wedding? Let us know in the comments box below. Couldn’t catch the film in theatres? 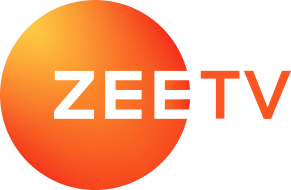 Veere Di Wedding is now streaming on ZEE5.